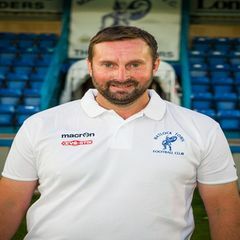 Adam continues the theme of former Matlock players moving to the management side of the club. Having played for the likes of Scarborough, Gainsborough Trinity and Worksop Town, Adam was Matlock’s first choice goalkeeper for three years from the start of the 2009/10 campaign, making eighty six appearances before having to leave due to increased work commitments. A very popular figure in the dressing room.